Nokia has provided a generous grant to OLE that will be used to expand OLE’s collections of learning resources for Syrian refugee girls that will be available on the Internet in a Free Syrian Library. The Library will be an open multi-media, multi-lingual repository of Arabic, English and other mid-eastern languages. The Library will emphasize learning resources and courses that are relevant for Syrians who are dislocated from their homes in Syria as well as for those who are refugees in other countries. 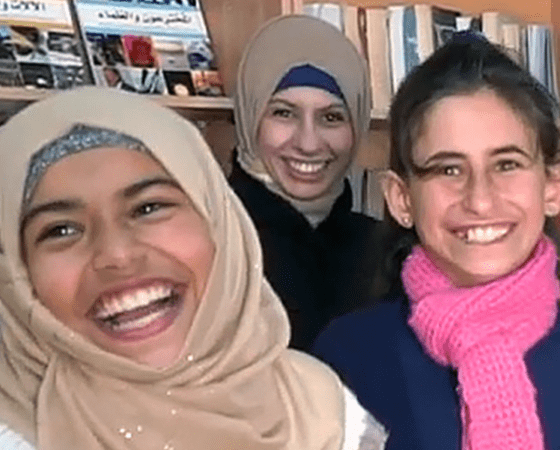 Programs in Turkey, Bulgaria, Lebanon and Jordan will contribute resources to the Library that will augment the Arabic and English resources OLE collected and developed for UNHCR’s Tiger Girls program in Za’atari, Jordan. Programs in other countries, including outside the Middle East will be encouraged to contribute their resources and use the Library in their programs.